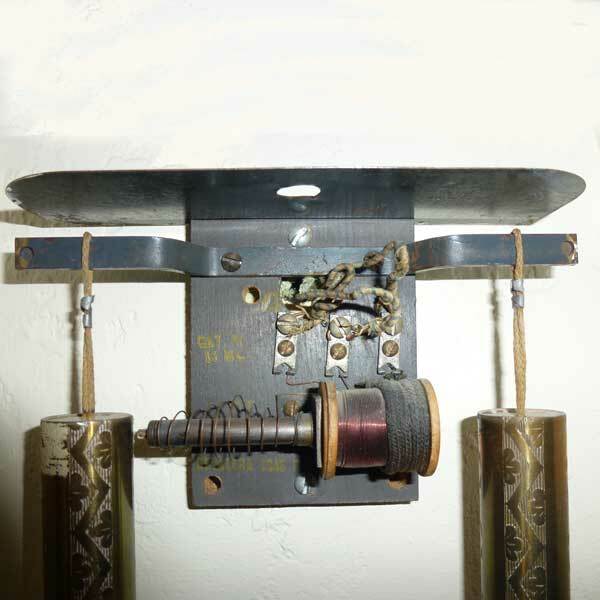 This vintage doorbell is from DeVelera, a regional manufacturer based in New York City. This example was transplanted from it’s original East Coast home to California in the 1970s where it is in service to this day. The current owner provided the photos after viewing the DeValera Compact Chime. 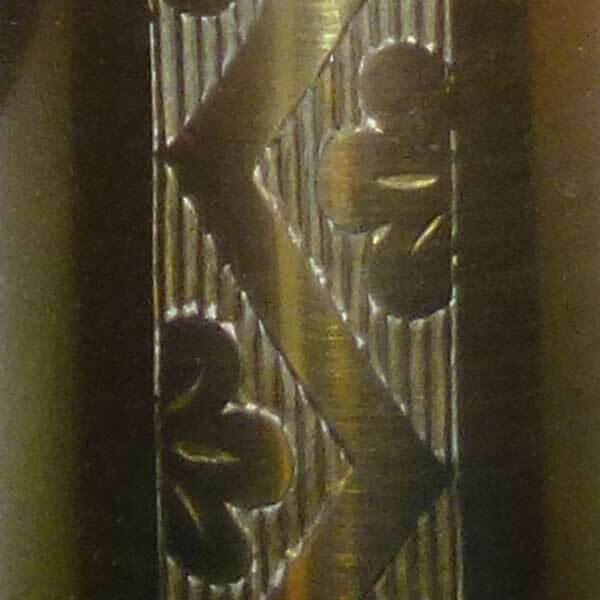 This chime features uniquely engraved bells with a repeating pattern. This chimes shares many mechanism components with other DeValera Door Chimes. 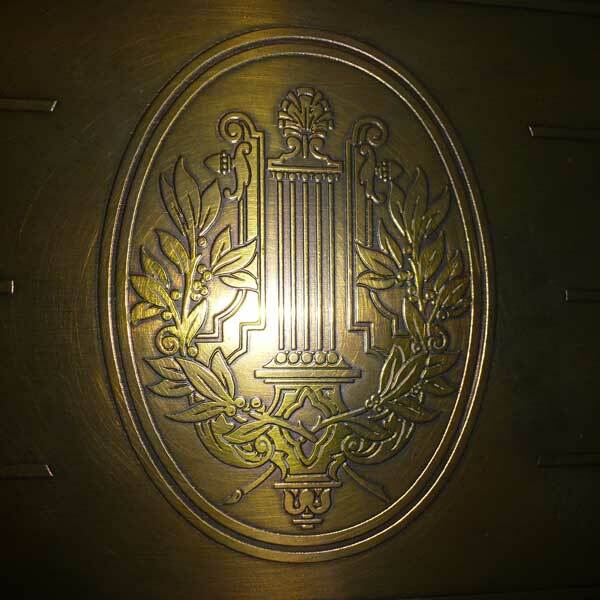 Materials Brass cover. Brass bells. Wood base and wood striker.